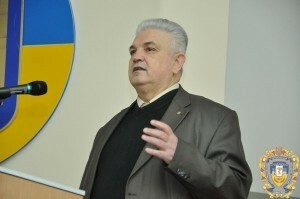 The Law of Ukraine “On emergency medical assistance” (from 05.07.2012 № 5081-VI) and amendment by the Law No. 333-VII from 18/06/2013 was adopted and entered into force in 2012. This law determines organizational and legal framework to provide emergency medical care for the citizens of Ukraine and other persons within its territory. 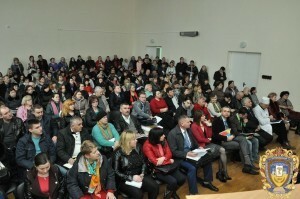 National research and training conference “Achievements and Prospects of Internal Medicine: Management in Emergencies” was held in Ternopil State Medical University on March 24-25 to ensure the implementation of this law in Ternopil region. 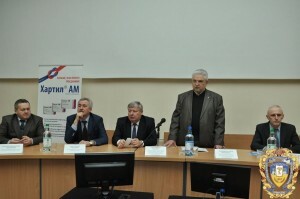 The conference was opened on March 24 by the Vice-Rector for Science, Education and Clinical Affairs of Ternopil State Medical University Professor Stepan Zaporozhan. «Reducing the total incidence by adequate prevention and treatment is a national priority together with energy security and other issues of independence. That is why the conference on urgent maters of internal medicine and medical care in emergencies involves all important issues in contemporary healthcare. In my opinion, such scientific forums help to find solutions to the current problems, to find out new information and share experiences. 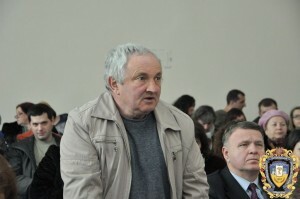 I wish you a fruitful work!” Stepan Zaporozhan said. He was supported by Vice-Rector for Research, Professor Ivan Klishch. 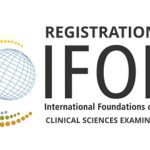 “High mortality rate from internal diseases as a result of complications and acute clinical conditions is increasing. 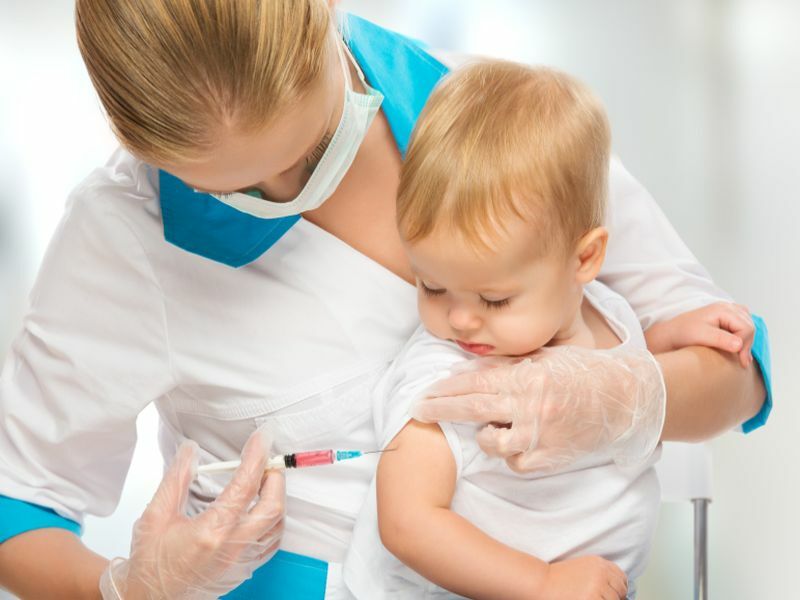 It causes special attention to these patients. 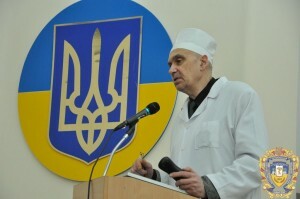 Widespread use of the achievements in doctors’ practice and leading scientists of Ukraine in various fields of medicine is very important,” Ivan Klishch said. 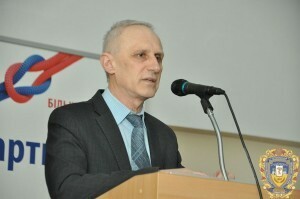 The Head of Ternopil University Hospital Vasyl Blikhar greeted the delegates, the Director of the Centre of Emergency Medical Care and Disaster Medicine Myhajlo Dzhus and the Head of the Department of First Emergency Medical Aid and Emergency Medical Treatment of Ternopil State Medical University Professor Mykola Shved also addressed to the audience. Professor Mykola Shved opened the first plenary session of the conference with the report on “Modern protocols of medical care delivery for the patients with acute coronary syndrome in pre hospital period”. 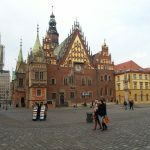 He paid attention to rapid decision-making and providing emergency care by physicians for patients with acute coronary syndrome even in the pre-hospital period. 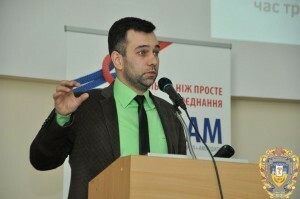 Professor Oleksandr Oliinyk presented a report on “Infusional therapy in shock”. He expanded on classification of shock, its diagnosis and treatment. The speaker also emphasised the importance of hypervolemia correction with certain solutions taking into account the level of homogenate and fluid loss and administration of medicines to manage arterial hypotension. 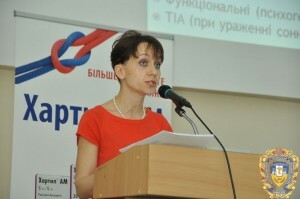 Assistant of the Department of First Emergency Medical Aid and Emergency Medical Treatment of Ternopil State Medical University Vitalii Hurskyi reported on “Emergency aid in diabetic comas”. He defined features of each type of diabetic coma, diagnostic criteria, differential diagnosis and emergency care. 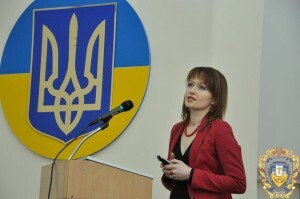 The Assistant of the Department of First Emergency Medical Aid and Emergency Medical Treatment of Ternopil State Medical University Olena Prokopovych presented a report on “Protocols of emergency care in hypertension and hypertensive crises of various types”. She explained in details medical care delivery in ordinary hypertension and in uncomplicated and complicated hypertensive crises. 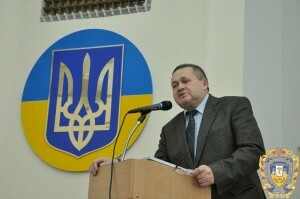 Associate Professor of the Department of First Emergency Medical Aid and Emergency Medical Treatment of Ternopil State Medical University Oleksandr Susla reported on “Current tactics and algorithms of emergency assistance for patients with acute poisoning with unknown gas or substance”. He emphasized the need for immediate relief of acute poisoning, described the diagnosis and treatment tactics of these conditions. The Associate Professor of the Department of First Emergency Medical Aid and Emergency Medical Treatment of Ternopil State Medical University Oksana Sydorenko presented a report on “Algorithm of emergency care in syncope condition”. She expanded on etiological and triggering factors of syncope development, clinic, diagnostic methods and treatment due to causes of syncopal condition. 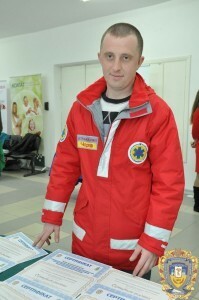 The Assistant of the Department of First Emergency Medical Aid and Emergency Medical Treatment of Ternopil State Medical University Yaroslav Kitsak made a report on “Standards of emergency care in polytrauma”. There were 2 workshops during the conference. The first workshop “Algorithms of medical care in emergencies” was on cardiopulmonary and cerebral resuscitation in adults. The second one “FAST-protocol in polytrauma” was on urgent sonography in multiple traumas. Also the meeting of the Heads of Departments of Emergency Care on “Urgent and emergency medical aid” took place during the conference. 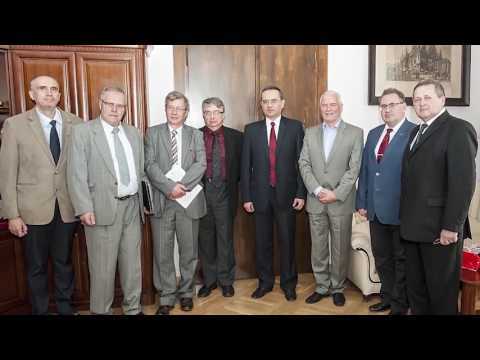 There were representatives of the Departments of Emergency Care from Kharkiv, Ivano-Frankivsk and Odessa National Medical Universities, Dnipropetrovsk and Ukrainian Dental Health Academies. Also the textbook “Emergency medical care” edited by Professor M.I. 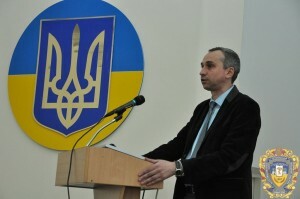 Shved was presented during this meeting. Emergency medical aid delivery for patients following all the standards by practitioners provides sufficient medical care.